Waist bag for caving, in PVC 1100 dTex 700 g/m² canvas with wear resistant varnish. A nylon "Dee ring" for attachment to the belt. 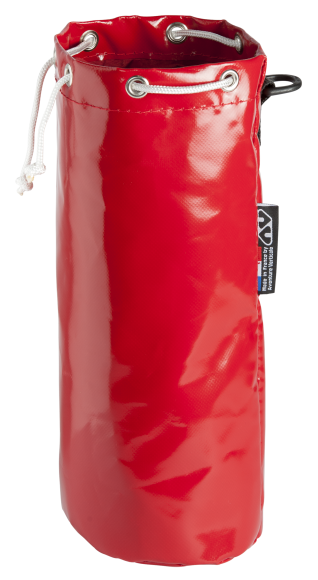 Bag extension skirt in polyamide coated flexible fabric, closed by a drawstring and tightener. Closure by string and eyelets. Height: 30 cm (45 cm with the skirt). 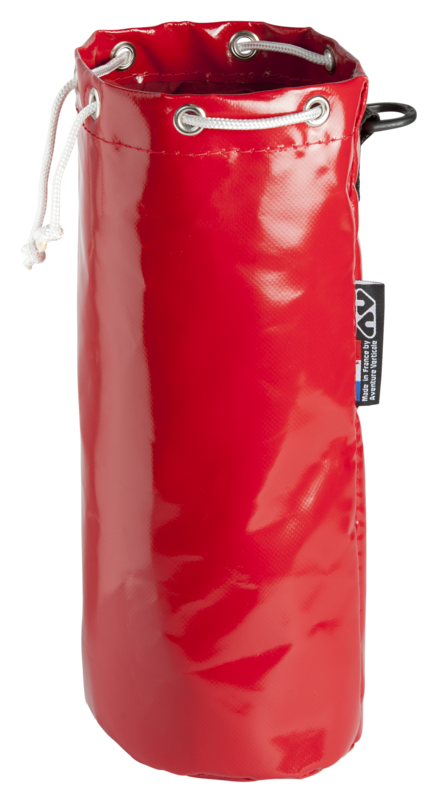 This small caving bag has a capacity of 5 litres (7 litres with the skirt). For carrying small personal effects. High resistant canvas. Automatic strong stitches (like the harnesses). Tip: Find a product with its reference ! Type AVCA03P, e.g., to find the sit-harness for adventure park Peïra Parc. Where to buy our products ?